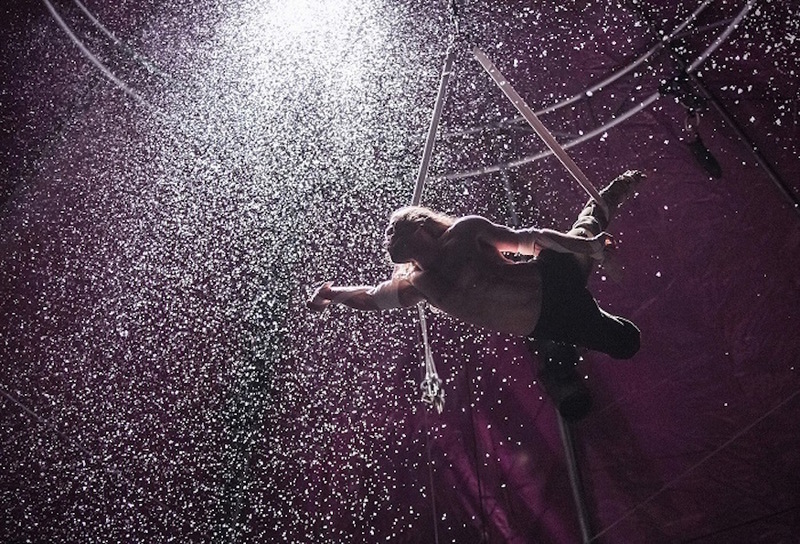 Returning to London after a four-year absence, NoFit State’s Bianco abandons circus cliché to demonstrate the awe-inspiring power of this art form. 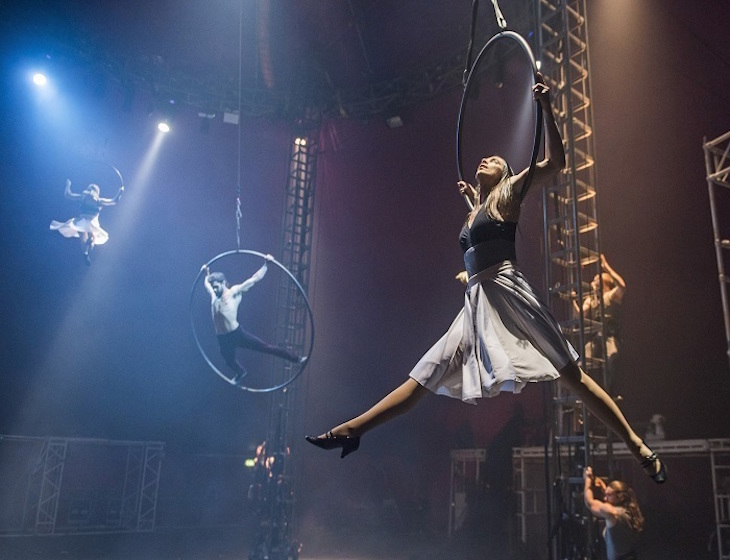 As a spectacle, it comfortably sits between its big top London competition in this winter season, being a more acrobatic show than the excellent La Soirée and a far more engaging encounter than Cirque du Soleil’s Amaluña which returns to the capital next month. Bianco’s masterstroke is in its staging. This is 360 degree entertainment with no seating, so prepare to stand and gawk for a couple of hours as you are shepherded around the tent by men in black kilts. Backed by a live band, the routines take place above, around and in front of the audience, with good use made of the big top’s cavernous heights. The Cardiff-based company has organically changed the show since it was last seen at the Roundhouse in 2014, and all for the better. The most clichéd of its routines back then (a tightrope walk in high heels) has been replaced by a breathtaking high wire act which sees Francois Bouvier perform a backflip not once but twice. The aerial acts are the killer touch here. Lyndall Merry’s swinging trapeze is spectacular, as is Augusts Dakteris’s finale act which sees him twisting this way and that directly overhead while flurries of fake snow fall all around him and the audience. Some acts, though, make their point for far too long. Others, like the hoop routines, depend more for their effect on technical wizardry than physical skill. When the prop becomes more impressive than the artist, it's time to rethink the routine. Director Firenza Guidi has paced the show beautifully and brings together circus and music with aplomb. A few elements of the show fall flat— some dialogue played over the PA system is indistinct among the hubbub, and the concept of 'black and white' seems to be only paid lip service through costuming. This is boundary-pushing circus on a grand scale which expands what Joe Public thinks of this quickly evolving art form. Bianco has imaginative touches aplenty and deserves its place on the must-see list for those who want to be challenged and thrilled this winter. NoFit State Circus's Bianco continues at the Southbank until 22 January 2017. For more information, check out the official website. Londonist saw this show on a complimentary ticket.